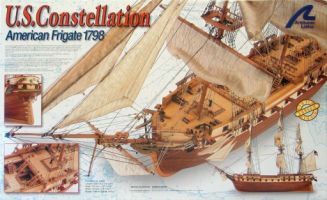 The U.S. Constellation is an impressive model that collectors will enjoy. The historic design and attention to minute detail is evident in the many features, and makes this boat seem like a shrunken copy of the original. From the canvas sails to the brass detailing, this model will inspire and awe as it is studied.